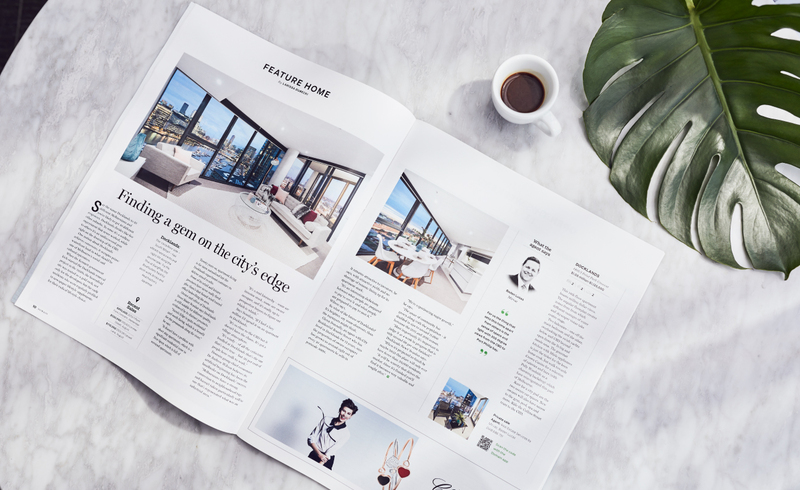 At Domain, we’ve worked on dozens of property development marketing campaigns, created engaging editorial pieces for some of the biggest brands in Australia and have directly attributed property sales to specific articles we’ve published. Content marketing is all about telling the story of your brand and project, but can an article sell an apartment? Here’s our checklist to determine whether content marketing has a role in your campaign. For a property marketer, all objectives are strategically aligned around selling not only a home, but also a lifestyle. When outlining your key objectives, it is essential to understand what will drive awareness and consideration to your development. This is where content is key for a successful holistic marketing strategy. For many, buying, investing or selling is one of the biggest life experiences that can be embarked on. With any significant milestone, people seek out reputable information and advice to help guide them through the process; creating numerous opportunities throughout the property purchase cycle for brands to connect with potential buyers. Defining your target audience is crucial to ensure you’re reaching the right people at the right time. Some key items to understand about your target market when creating content is their age or life-stage, motive for purchasing and location. This information will help to develop an appealing tone of voice for your target audience. With access to exclusive data based on property search behaviour, Domain can help you reach an active audience of property seekers. How can I benefit from partnering with an experienced publisher? Partnering with publishers who are in conversation with your target audience every day is a strategic way to build a content campaign. Publishers may have access to information not readily accessible, such as search trends or data on a new development buyer’s path to purchase. Leveraging this information, as well as a publisher’s authority will help to create high quality content that will generate high quality engagement. At Domain we’ve leveraged audience insights about the home buyer journey and what property seekers deem most valuable (according to our exclusive data the #1 consideration is understanding location, from safety to accessibility) to create individually curated content campaigns for developers. How can you integrate content into a bigger marketing campaign? We partnered with Aqualand to create a multi-tiered content campaign to promote Blue at Lavender Bay, Sydney. We created a series that built awareness of Blue’s unique location, it’s heritage and painted a picture about the lifestyle the harbour has to offer now and into the future. We targeted prospective buyers in the area with content detailing the quality interiors and profiling the architects (the type of property and features are the next biggest considerations for new development buyers). The series had touch points in the Domain New Living magazine and online, included video and a consumer promotion to deliver reach and engagement with our quality audience. Alex Adams, head of sales and marketing at Aqualand said: “Aqualand’s content series with Domain was vital to the Blue at Lavender Bay development’s sales success, integrating well with other offline and online initiatives. "Domain articles highlighted the true uniqueness of the development. The credibility of Domain’s writing team meant the editorial style was well received with readers and considered as a trusted source. How will you capture leads off the back of a campaign? We know leads are a key measure of campaign success. The role of content is to nurture awareness and consideration throughout the campaign that will ultimately help convert enquiries. I am always elated when we receive feedback from partners who have tracked leads and sales off the back of a campaign which launched with content and had a robust media campaign to nurture buyers through the path to enquire. “Articles also complemented key phases throughout the wider sales campaign. It was very encouraging to work with the team who were passionate about the project and Aqualand as a new brand. Ideas were forthcoming and concepts executed professionally. We worked as a seamless, collective team, which helped achieve the best results.” says Adams. Have a strategy to capture and track leads. Having demonstrated the effectiveness of content through project marketing, a number of developers are coming to us to discuss content strategy for their brands and we’re expecting this trend to grow. To start your content marketing campaign with Domain visit the website or email developers@domain.com.au. The Urban Developer is proud to partner with Domain to deliver this article to you. In doing so, we can continue to publish our free daily news, information, insights and opinion to you, our valued readers.